Spray the inside of a 9×13 casserole dish with coconut oil cooking spray. Place asparagus in the dish and lightly spray spears with cooking spray. 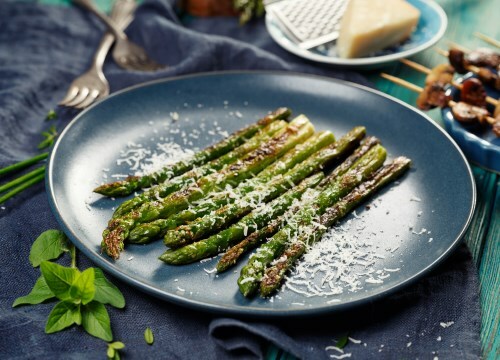 Sprinkle asparagus with Parmesan cheese, sea salt, and garlic powder. Roast in preheated oven until fork easily punctures thickest part of stem, about 12 minutes.